Animal Pros is your best solution for skunk removal in Greater Nashville from your crawlspace, under your home, and in your yard. Our certified skunk trapping and control specialist offer odorless skunk removal solutions in the Greater Nashville area. Skunk Removal services are offered 24 hours a day, in Nashville, Franklin, Brentwood, Hendersonville, Murfreesboro, and the entire Middle Tennessee area wide. 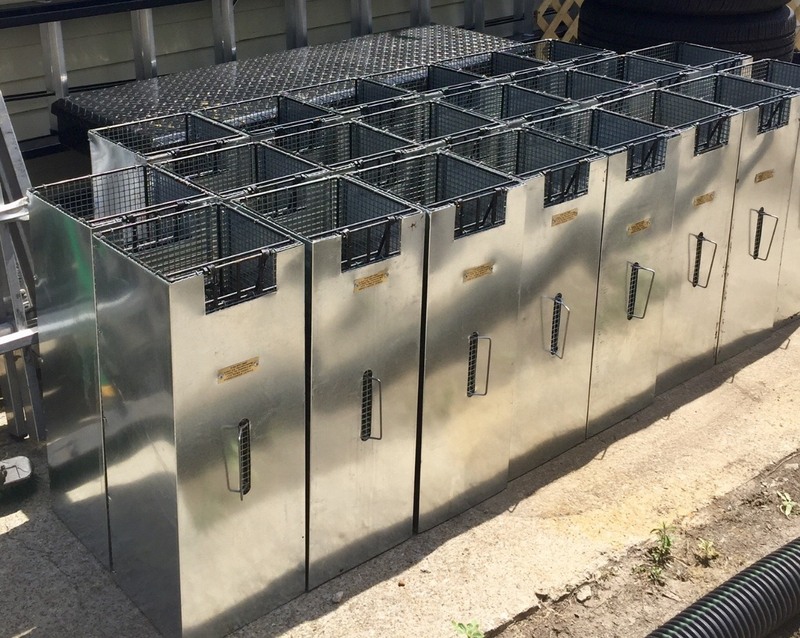 From spray proof skunk traps, to removing skunk odor from your home, our proven techniques are safe for your family, pets, home, and business. With the largest staff here in Middle Tennessee, allow our knowledge and experience to work for you.For immediate skunk removal services day or night, contact Animal Pros at 615-499-5692. 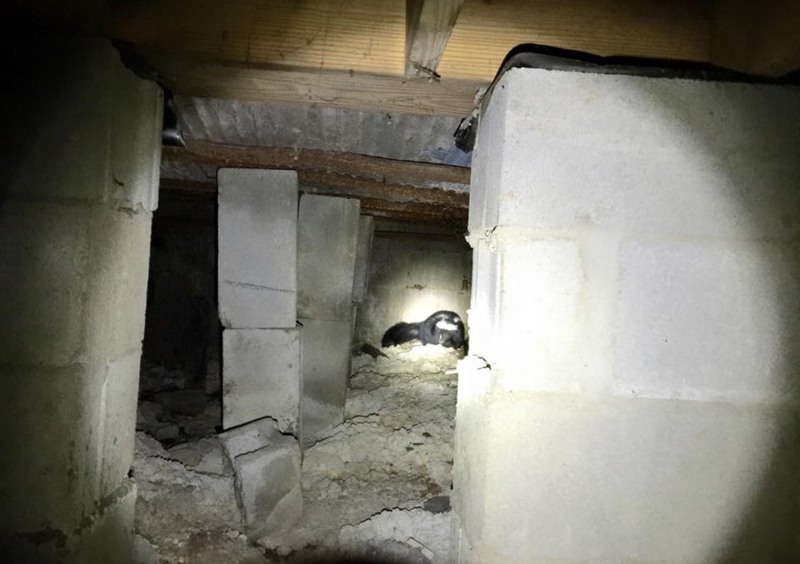 Skunks under a home or in a crawlspace in can be a nightmare for a homeowner to determine exactly what is happening. You are awoke in the early morning hours by a strong skunk smell, which can often be confused by burning rubber and even natural gas. You are half asleep, the whole house smells, and you don’t know if you should call the fire department to rule out the possibility of a gas leak, or where to find a service to come out and evaluate the problem, at that time of night. Skunk mating season begins around the end of December, and will reach its peak during January, February, and March. During this time, female skunks will be searching for a suitable area to have a litter. There is no better place a skunk can find as a nesting location, than under a home in a crawlspace. 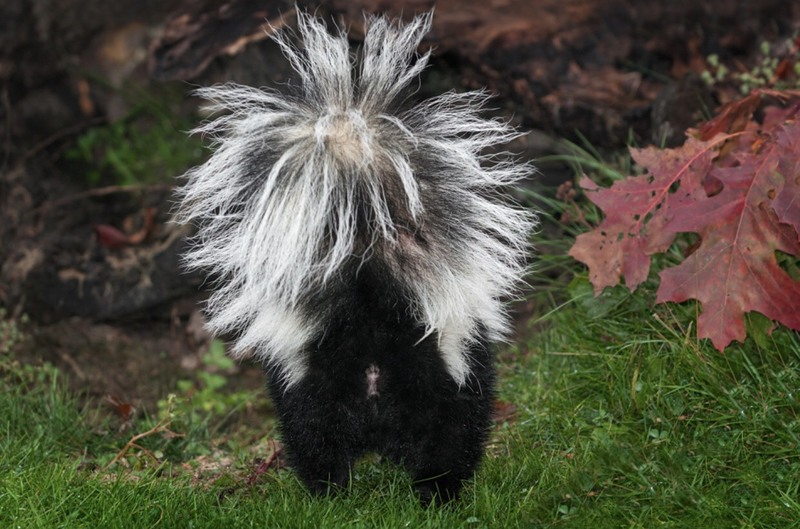 Skunks can spray nightly under a home, as there are several reasons skunks can spray, including excitement during mating (which can include squeaking noises), encounters with another animal, or a startle spray from the HVAC unit turning on. The most important thing a homeowner can do, is contact Animal Pros for help, and try to get someone out to assess the situation immediately. Animal Pros offers around the clock Skunk Removal, Odorless Trapping using covered traps, Skunk Spray Removal from the interior of your home or in your crawlspace, Repairs to prevent the problem from reoccurring, and contamination cleaning of skunk droppings. For immediate assistance contact us today. 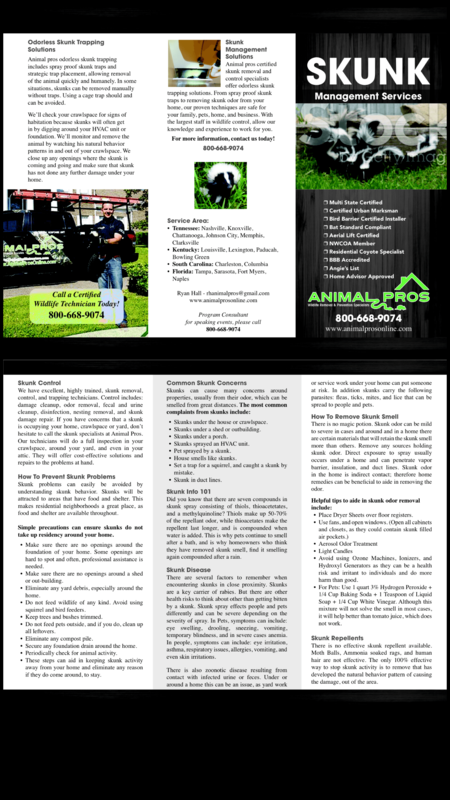 At Animal Pros, we have excellent, highly trained, skunk control and trapping technicians that service Greater Nashville. Trapping is not limited to just removal of the Skunk, but also includes doing so quickly and without the skunk spraying. Our professional traps have built on covers, so when a skunk is caught, it is calm. If you happen to catch a skunk in a cage trap, and try to slip a blanket over the trap, that will be the greatest likelihood of you getting spayed. If you have any doubt that you have smelled a skunk near your home, do not hesitate to call the skunk specialist at Animal Pros in Nashville. Our technicians will do a full inspection in your crawlspace, around your yard, and even in your attic. They will also offer cost-effective solution and repairs so the problem does not continue. Our staff is highly trained to remove skunks and odors before they do permanent damage to your home. Animal pros odorless skunk trapping includes spray proof skunk traps and strategic trap placement, allowing trapping of the animal quickly and humanely. In some situations because of years of experience skunks can be removed manually without traps. Using a cage trap should be avoided. Trying to cover a cage trap should be avoided as that is the greatest likelihood when a skunk will spray. If you are using a skunk trapping company and they have not looked in your crawlspace, they have not addressed the issue. 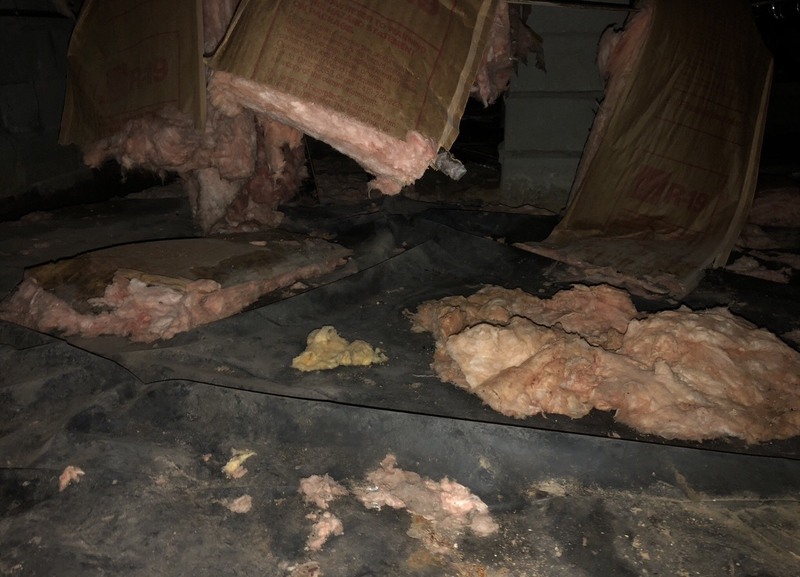 Removing the animal with the natural behavior pattern of going in and out of your crawlspace is one step of the solution. Closing up any openings where the Skunk is going in and out, and making sure that skunk has not done any further damage under your home is equally important. Thousands of Middle Tennessee residence trust Animal Pros so should you. Call us today 615-499-5692. Skunks In the Crawlspace or under your home. Skunks under Hvac unit or Air Conditioner. Skunks sprayed Hvac unit or Air Conditioner. Skunks in duct line or Hvac line. Woke up by burning rubber smell, and think its skunk. Cant tell if I have a skunk smell or gas leak. Skunk hair sticking out of my floor register. Skunks going through a breezeway or foundation vent under home. Skunks getting under home from foundation drain. Interior of my home smells like skunk. Skunks sprayed my dog or cat. How to remove Skunk Spray. Skunk droppings in crawlspace or under home. Skunk seen in yard during the day, sick or rabid? Squeaking noises under home, is it Skunks? Animal Pros in Greater Nashville will work closely with your insurance provider to ensure your skunk damage claim will be covered. We provide a free evaluation to take a look at any skunk damage to your home, to ensure it is worth turning in a claim to your provider. If damage does not exceed a certain amount financially, then we would suggest you not turn in a claim to your insurance provider, as we can provide some very affordable solutions to solve the problem. We pride ourselves on being quick and upfront with insurance companies. This means your treated fairly and have less time for your claim to be accepted. 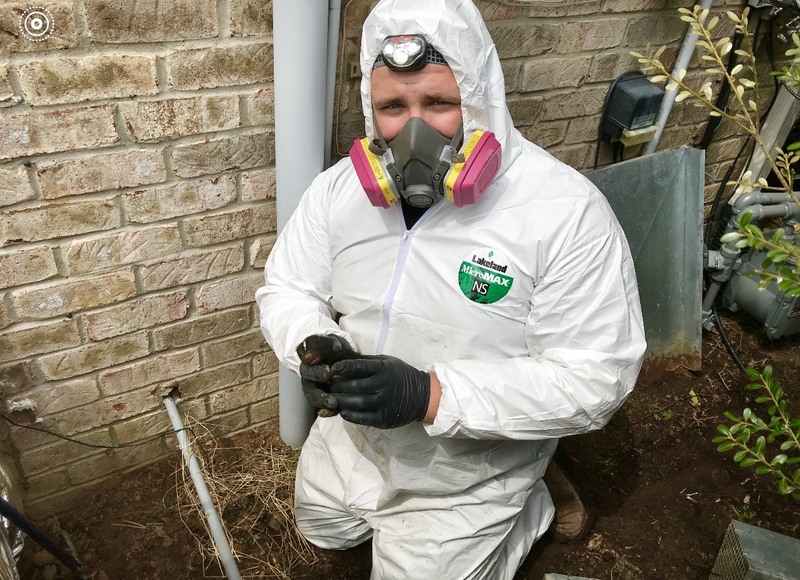 Unfortunately, insurance is a business, and while they do not pay on every claim, your local adjuster may not be familiar with coverage regarding skunk damage, which is why you should call us today 615-499-5692 for Nashville skunk removal. Skunk problems can easily be avoided by understanding skunk behavior. Skunks will be attracted toward areas that have food and shelter. This makes residential neighborhoods a great place as food and shelter are available throughout. Simple precautions can ensure skunks do not take up residency around your home. Make sure there are no openings around the foundation of your home. Some openings are hard to spot and often professional assistance is needed. Make sure there is no openings around a shed or out building. Eliminate any yard debris, especially around the home. Do not feed wildlife of any kind. Avoid using squirrel and bird feeders. Keep trees and bushes trimmed. Do not feed pets outside, and if you do, clean up all leftovers. Secure any foundation drain around the home. These steps can aide in keeping skunk activity away from your home and eliminate any reason if they do come around, to stay. Did you know, that there are seven compounds in skunk spray consisting of thiols, thioacetetates, and a methylquinoline. Thiols make up 50-70% of the repellent odor, while thioacetates make the repellent last longer, and is compounded when water is added. This is why pets continue to smell after a bath, and is why homeowners who think they have removed skunk smell, find it smelling again compounded after a rain. There are several factors to remember when encountering skunks in close proximity. Skunks are a key carrier of Rabies. But there are other health risks to think about other than getting bit by a skunk. Skunk spray effects people and pets differently and can be severe depending on the severity of spray. In Pets, symptoms can include eye swelling, drooling, sneezing, vomiting, temporary blindness, and in severe cases anemia. In people, symptoms can include eye irritation, asthma, respiratory issues, allergies, vomiting, and even skin irritations. There is also zoonotic disease resulting from contact with infected urine or feces. Under or around a home this can be a issue, as yard work or service work under your home can put someone at risk. In addition another concern is parasites carried by skunks, which include fleas, ticks, mites, and lice, that can be spread to people and pets. Question: My house smells like skunk. I think my AC has been sprayed, and live in Nashville, TN. Is it living in my crawlspace? 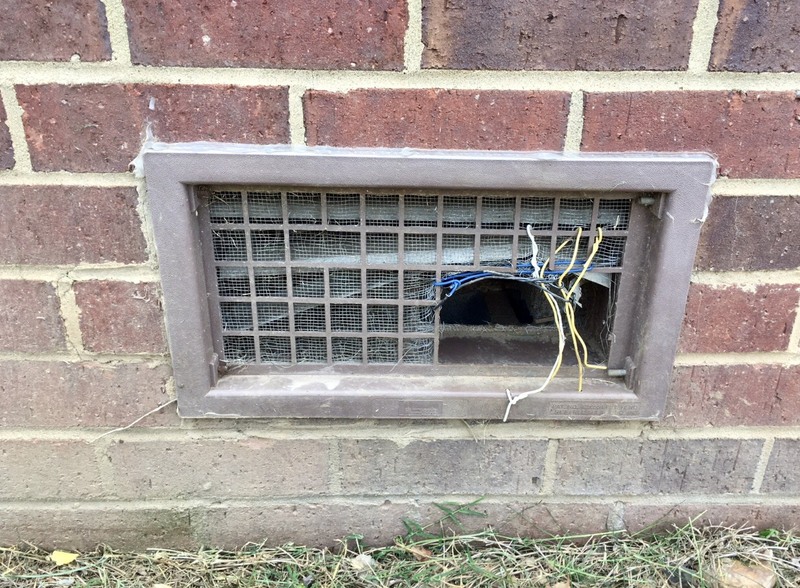 Answer: Many clients think a skunk sprayed the outside of there AC unit. Now the smell has been pulled into the home. Skunks enter crawlspaces to establish a suitable nesting location to brood young. There are several openings to be aware of including openings on the bottom of the unit, breezeway vents, foundation drains, and crawl space doors. There are two types of skunk sprays. One is a temporary warning spray, usually from a startling from your ac unit turning on, dog barking, or someone walking on the floor. The other type of Skunk spray is a full spray usually when one dies. Experts in Nashville can walk in to your home, smell the air, and be able to determine which type of spray you have. Technicians will do a full inspection in your crawlspace, around your yard, and in your attic. They will also offer cost effective repairs and solutions so the problem does not continue. Our staff is highly trained to remove skunks and odors, before they do permanent damage to your home. Question: I have a skunk that is coming in my yard daily during the afternoon. How can I tell if its rabid? Answer: There is no 100% way to look at a skunk and tell it is rabid without testing. There is two forms of rabies, the “furious” and “dumb” forms. Animals acting out of the normal should always be reported. Skunks are key carriers of rabies, and the predominant carrier in certain areas. There could be other diseases at play if a skunk is appearing sick or out of the normal. Skunks can come out during the day or night in residential areas when food is available. Place Dryer Sheets over floor registers. Avoid using Ozone Machines, Ionizers, and Hydroxyl Generators as they can be a health risk and irritant to individuals and do more harm than good. For Pets: Use 1 quart 3% Hydrogen Peroxide + 1/4 Cup Baking Soda + 1 Teaspoon of Liquid Soap + 1/4 Cup White Vinegar. Although this mixture will not solve the smell in most cases, it will help better than tomato juice, which does not work. There is no effective skunk repellent available. Moth Balls, Ammonia soaked rags, and human hair are not effective. The only 100% effective way to stop skunk activity, is to remove that animal that has developed the natural behavior pattern of causing the damage, out of the area.